Our body is constituted of more than 10 million trillion cells essentially containing the same genetic information; yet, they all are more or less different with no less than 300 clearly distinguishable cell types. The molecular mechanisms underlying the generation and preservation of such differences and cellular identities are based on the way our genes are controlled, allowing a single genome to be used in a multitude of different ways. These so-called epigenetic mechanisms are the focus of the investigations carried out in Pablo Navarro’s lab, where they use pluripotent cells derived from mouse embryos to explore the epigenetic mechanisms involved in the preservation of their outstanding potential. Indeed, during development pluripotent cells give rise to all the different cells of our body, a unique property that needs to be molecularly understood should we want to unfold their medical potential. 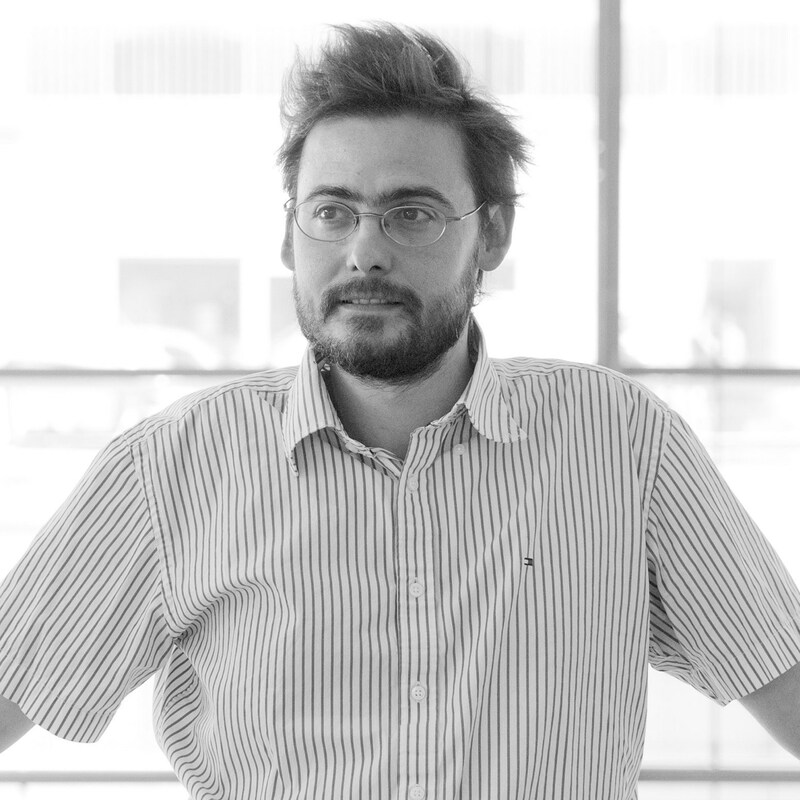 In September 2013 Pablo Navarro was appointed young group leader at the Institut Pasteur under the REVIVE Labex framework to create the Epigenetics of Stem Cells G5 (ECS-G5) lab, where they study the epigenetic processes governing the biology of mouse Embryonic Stem (ES) cells. These cells are derived from early mouse embryos and display unique properties such as pluripotency (the ability to be differentiated into all adult cell types) and self-renewal (the capacity to maintain their identity throughout virtually infinite cell divisions. Self-renewing ES cells display dramatic cell-to-cell variability in the expression level of several key regulators such as the transcription factor Nanog. Whereas Nanog-positive cells self-renew efficiently, Nanog-negative cells are prone to undergo differentiation. Although these two populations have been shown to dynamically inter-convert, very little is known about the underlying mechanisms of interconversion. It is believed that Nanog fluctuations result from stochastic modifications of the activity of the pluripotency network, which is inhibited by Mek/Erk and Gsk3b signaling pathways. However, the stability of the Nanog-negative state, which can be inherited during several cell divisions, indicates that yet to describe epigenetic mechanisms may be involved in Nanog heterogeneity. We have already identified a chemical medication of the chromatin that is specific to the Nanog-negative state, is lost upon inhibition of Erk/Gsk3b and is mitotically inherited. 2/ The mechanisms ensuring the rapid re-establishment of the network after mitosis: To maintain the undifferentiated state, ES cells need to keep silent differentiation genes. However, the genetic invalidation of key systems of epigenetic repression (Polycomb, CpG methylation, H3K9 methylation) does not impair ES cells self-renewal. This suggests that silencing of developmental genes may be de novo established after each division owing to the highly efficient action of the pluripotency gene regulatory network. In this context, the existence of a memory of gene activation would be particularly interesting in order to accelerate the re-establishment of the network after division. We hypothesize that some pluripotency transcription factors may act as bookmarking factors by remaining bound to critical target genes during mitosis. This would enable the rapid and efficient re-establishment of the network after mitosis such that self-renewal is efficiently preserved. Using imaging and ChIP-Seq approaches we have identified one such transcription factor and are now assessing the functional relevance of its mitotic retention. The study of ES cells has not escaped the recent explosion of regulatory lncRNA biology: from the thousands of lncRNAs that have been identified across the mouse genome a large subset is expressed in ES cells. Our goal is to identify “pluripotency lncRNAs” that would impact on ES cell biology as strongly as well-established pluripotency transcription factors and establish their molecular contribution to the activity of the pluripotency network. Using genome-wide approaches we have identified around 400 lncRNAs that represent outstanding candidates to act as pluripotency factors.